As of release 10.0, OpenInsight’s O4W product will have support for OpenID, an industry standard protocol for logging into websites. O4W will seamlessly allow you to login in to your OpenInsight environment via the Internet using the OpenID protocol. OpenID allows you to use an existing account to sign in to multiple websites, without needing to create new passwords. OpenID is rapidly gaining adoption on the web, with over one billion OpenID enabled user accounts and over 50,000 websites accepting OpenID for logins. Several large organizations either issue or accept OpenIDs, including Google, Facebook, Yahoo!, Microsoft, AOL, MySpace, Sears, Universal Music Group, France Telecom, Novell, Sun, Telecom Italia, and many more. The O4W login screen will have an option to use OpenID to login. Selection of this option will display a list of OpenID providers. The user selects an OpenID provider, fills in their OpenID username, and clicks login. It never fails to amaze me what OpenInsight enables me to build. Yes my development skills are getting better (I hope) and yes I am now dabbling in Code (Code Jockey style) but this project has really given me a boost. Anyway, some people have recently been asking me how my archery application is going and what it does. For that reason, I thought that it might be time to produce a couple of videos showing what I have been up to. Please note that this is a project that I am still working on and the solution is not yet complete and still has a fair number of bugs to iron out. However, I welcome your thoughts and comments – Professional developers, please be kind <g>. The Revelation Software WORKS 2012 End of Year DVD video is now available at http://youtu.be/NlFy6U6mDac. As the EOY CD is now being published via the web, rather than a hard CD, a few of you have asked me about the contents of the latest disk. Having now downloaded my copy and having created the disk, I am pleased to detail the disks contents. The disk is divided up into seven navigable sections and I’ll itemise each one in bullet form below. 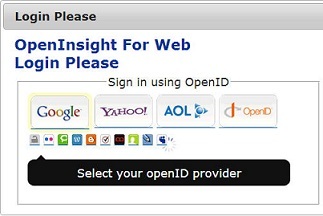 OpenInsight Online Help – Links to the OIOnlineHelp.chm file. Guide to Application Development – Links to the Oinsight.chm file. Programmers Reference Manual – Links to the ProgRef.chm file. Native Tables Manual – Links to the NTHelp.chm file. OpenEngine Reference Manual – Links to the OpenEngine.chm. Internationalisation Guide – Links to the International.chm. Character to OpenInsight – Links to the CTO.chm. Runtime Deployment Kit Help – Links to the RDKHelp.chm. Unicode Support – Links to the Unicode.chm file. A link to the OpenInsight 9.x Authorisation Key Request form on http://www.revelation.com. A whole host of white papers that is too long to list here. So, quite a host of good resources for any OpenInsight developer to have available to them. The download is pretty large 800Mb but I think that it is a useful download to have if you are working with and supporting OpenInsight systems.